Pope Francis will travel to the Greek island of Lesbos on Saturday, 16 April. He will meet with refugees and migrants who have made the trip by sea from Turkey. Over a million people crossed to Greece last year and 150,000 in 2016. Nearly half came to Lesbos. Most were fleeing war and poverty. Over 55 percent were women and children. The papal visit comes at a difficult moment for refugees because, under a contested plan, the European Union began returning newcomers to neighbouring Turkey this month. The main camp for the refugees and migrants is now a “closed centre”, which means that refugees and migrants are not permitted to leave. The Caritas hotel for refugees on Lesbos. Credit: Lefteris Partsalis/Caritas Switzerland. 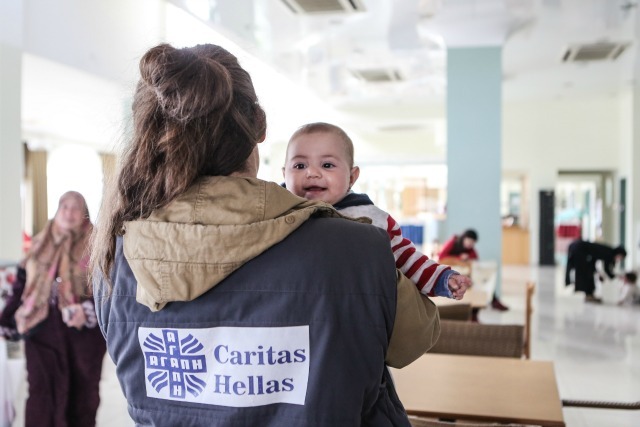 Caritas has been providing emergency aid on the island through Caritas Hellas (Caritas Greece) and in other hotspots in Greece since the start of the crisis last year. “The refugees and migrants are very excited about the visit of Pope Francis. 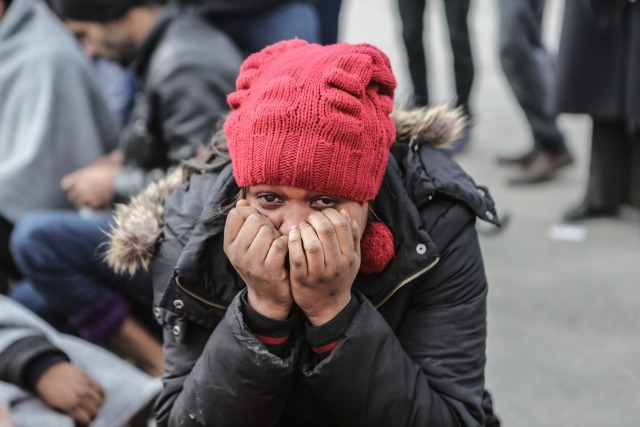 They’re making bouquets of flowers and they want to meet him,” said Tonia Patrikiadou, Caritas Hellas Field Manager for a Caritas run hotel on Lesbos. “The pope’s visit is a symbol of hope and solidarity for the refugees. It’s a sign that the world has not forgotten them and help is a possibility,” she said. Caritas Hellas – supported by sister Caritas – opened the hotel in Lesbos for refugees and migrants with 220 beds and 88 rooms. The hotel is for very vulnerable cases, such as pregnant women. It works with a local hospital, so there are doctors on call 24 hours a day. All the refugees and migrants in the hotel there are part of relocation programmes, family reunification programmes or are asylum cases. They’re waiting to be transferred to Athens. Working in Greece on the islands, Athens and the border with the Former Yugoslav Republic of Macedonia, Caritas has provided food to 80,000 people, basic aid to 78,000 people, hygiene to 40,000 people, information to 2200 and counselling to 1000. The pope will travel together with the Ecumenical Patriarch of Constantinople, Bartholomew I, and the Primate of the Orthodox Church of Greece, Archbishop Hieronimus II. Caritas Hellas agreed this month on closer cooperation with Apostoli, the charitable arm of the Orthodox Church in Athens. “Together we will be able to help the refugees and migrants more,” said Maristella Tsamatropoulou, communications officer of Caritas Hellas, “while strengthening relations between the two churches”.